Turns on or off the Microtubes Engine to add natural compression, organic harmonic enhancement, and saturation ranging from mild overdrive to high gain bass rage. Controls the amount of distortion that the Microtubes Engine will deliver. It will change from a soft warm overdrive to a massive modern distorted tone. Controls the high harmonic content of the Microtubes Engine via a variable low pass filter: crank it up for additional attack and definition or dim it down for a smoother sound. This is handy if running bright clean EQ settings or cabinets with tweeters. Mixes between the Clean signal and the Distortion signal (Microtubes Engine). Selects between two overdrive voicings: B3K mode will deliver an aggressive, percussive sound while the VMT will bring up the mids for a warmer, more neutral character. +-12dB of the selected frequency via the LOW MIDS ƒ switch (described below). Changes the lower mid content of the signal. Use this switch to change the frequency of the low mid band from 250Hz, 500Hz or 1kHZ. +-12dB of the selected frequency via the HI MIDS ƒ switch (described below). Changes the higher mid content of the signal. Use this switch to change the frequency of the hi mid band from 750Hz, 1.5kHz and 3kHZ. Do not open the amp. No user serviceable parts inside the amplifier. Make sure the voltage selector switch on the left side panel is set properly (115V/230V) before plugging the amplifier on the AC outlet. Never use the amp at a high moisture environment or near liquids. 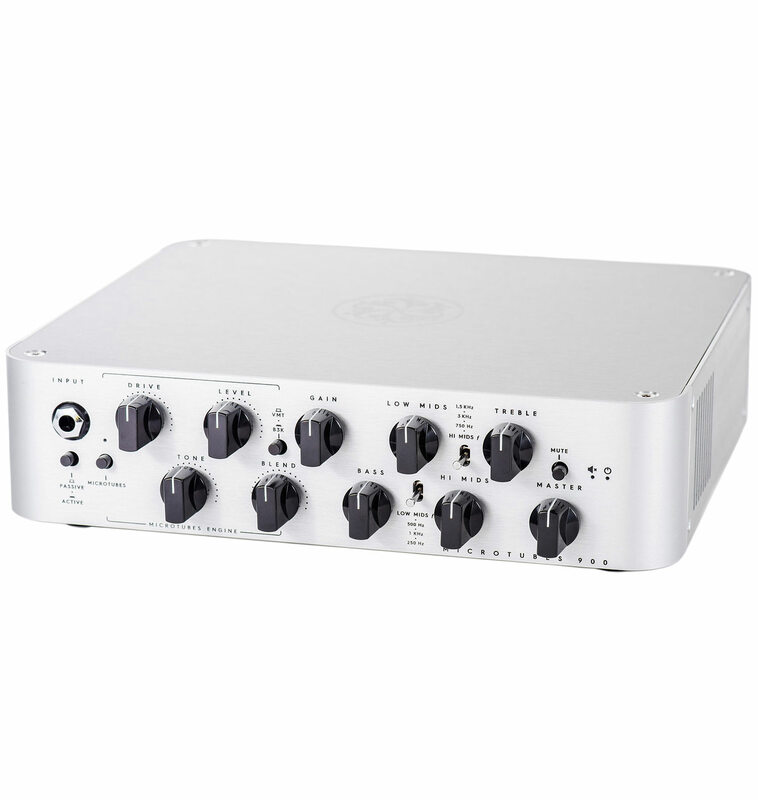 The Microtubes 900 can deliver more than 115 db of power. Exposure to this level of sound can damage your hearing. Use proper hearing protection if you will be exposed. The Microtubes 900 can deliver more than 900 Watts. Be sure that your speaker cabinet is able to handle that power. You can reduce the output of the amp by selecting the 2Ω mode on the rear panel (by the Speakon output jack). Do not cover the vent holes. The Fan and vent holes are part of the cooling system of the amp. Covering the vent holes can produce overheating of the power amp damaging it. Do not use an instrument cable as speaker cable. An Instrument cables are not design to deliver power signals going from the amplifier to the speaker. 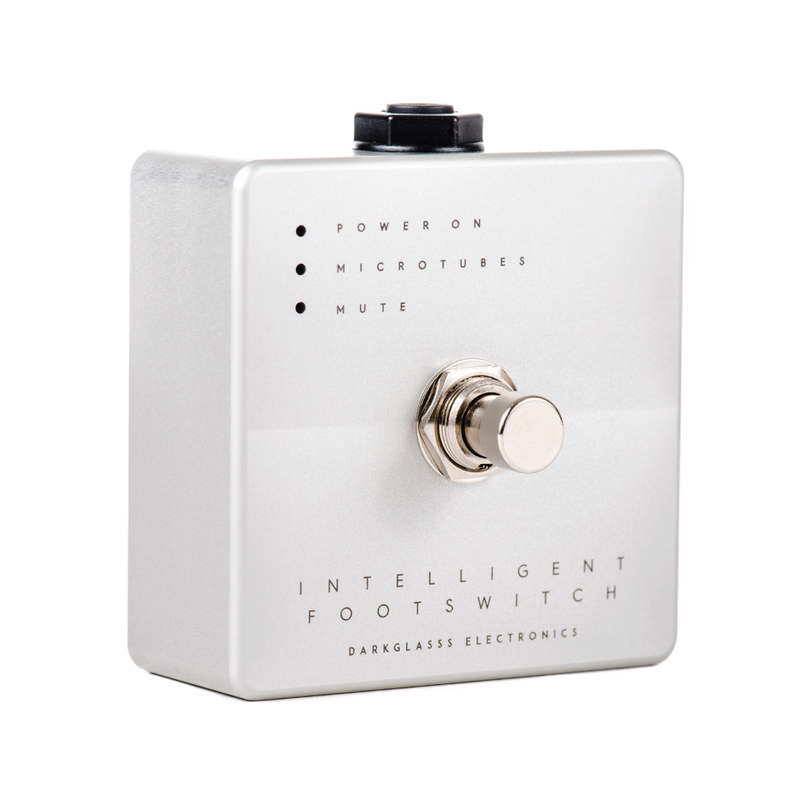 The Intelligent Footswitch is an intuitive yet versatile accessory for your Microtubes 900™. One tap will engage and disengage the Microtubes Engine, while holding for 3 seconds will Mute the amplifier. It is connected to the head via a standard 1/4" cable and it's powered by a microcontroller that sends commands to the head using a proprietary communication protocol.